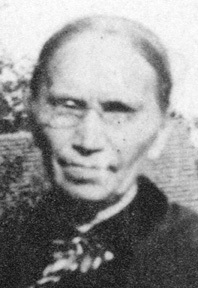 Catherine Ott (1825-1908) is the wife of Joseph Voegele (1823-1890). Her children include Joseph Voegele (1862-1934) who married Anna Regina Balthasar, and Mary Ann Voegele (1860-1931) who married Anthony Nuwer. 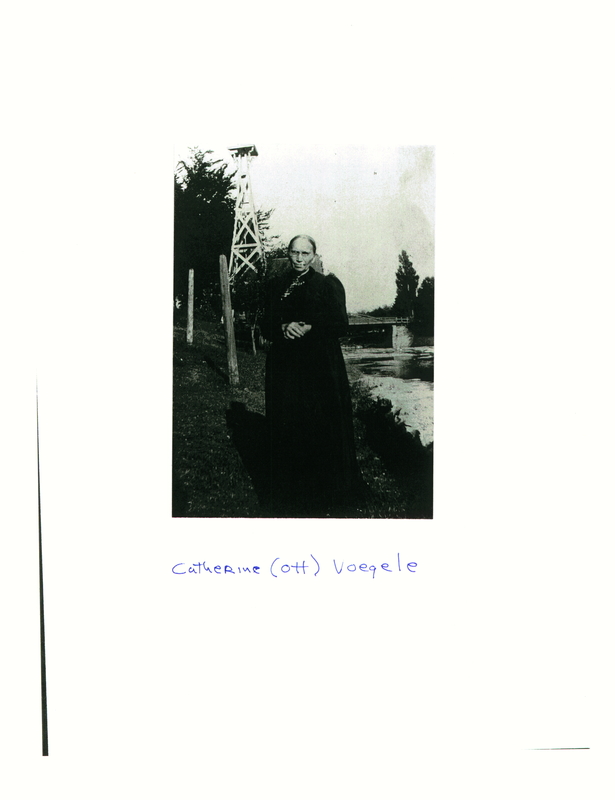 It appears that this photograph was taken on the same day and at the same place as two Ott family photographs in this collection: the photograph titled "Ott and Voegele Families, 1902," and photo F2 of Anna Balthasar's family album. 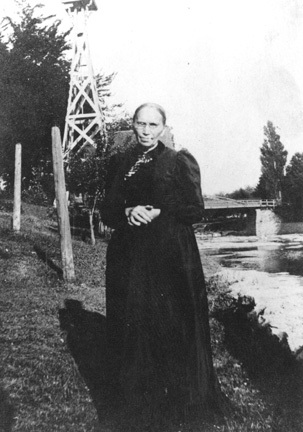 Catherine is wearing the same outfit in all three photos; the same wooden tower is visible in this photo and in the 1902 photo; and this photo and photo F2 appear to be the same riverbank location, viewed from different angles. Date of photo: Probably August 1902, the same as the two Ott family photographs. Thank you to Dr. Donald Nuwer for providing a copy of this photograph.